Posted by Vicky Tiffany on Nov. 17 2017 13:24 PM. When you move photos from iOS 11 device to your computer, you will be surprised to find out the photos cannot be opened in Windows or other device. Right! Do not worry, in this article, we will show how to convert HEIC pictures to JPG format without losing any quality or pixel. What is an HEIC File? High-Efficiency Image Format also known as HEIF is the latest image format technology that has been introduced with Apple and adopted by iOS 11 which gives us the opportunity to take high quality pictures in much smaller size. HEIC photo can save up to 50% of storage . However, the HEIF format is not supported in an Android or Windows PC. But, Moving Picture Expert Group (MPEG) has put countless effort to develop JPEG, PNG, GIF, etc. which are basically the default image format in any smartphone or computer, so most users are trending to change HEIC to JPG format so that these HEIC can be viewed on Windows, Mac or other device. Our methods will surely maintain the clarity and quality of the picture and at the same time we will show how to convert these images to JPG format so that you can copy them to your other smartphones and computers. 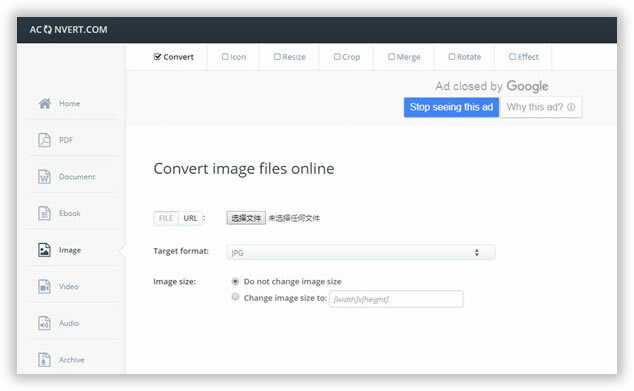 Fortunately, many online websites are offering to convert HEIC images to JPG format if you can simply upload the image from your device to their server. In this part, we will be using aconvert.com which uses powerful algorithm to convert HEIC pictures to JPG within seconds. Step 1. First open your favorite browser and go to Aconvert.com as shown in the below. Step 2. Wait for the website to load and click on "Browse" and select the HEIC pictures from your computer. Step 3. Click on "Convert" and wait for the website to convert the picture to JPG format. Step 4. Download the picture on your PC from the website. Time consuming method. Have to upload pictures one by one. this may be related to privacy and safe issue. It's screen is full of ads, not safe! HEIC Converer - Bypass Apple's restrictions with easy! Just 3 simple steps to convert HEIC photos to JPGs without damaging original photo quality. Convert pictures one by one or in bulk. Adjust and modify the photo quality according to your requirement. Drag & Drop option available. You can download the latest version here and give it a try. 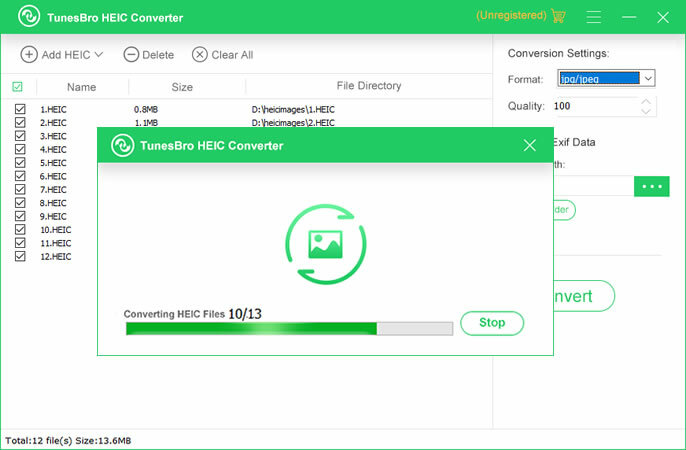 Download the new version of HEIC Converter on your Windows computer, and install it simply by finishing the setup process. Launch the program and select all the HEIC pictures from your computer or iPhone. The entire conversion process are run on computer, which requires you to transfer HEIC photos from iOS device to computer first. 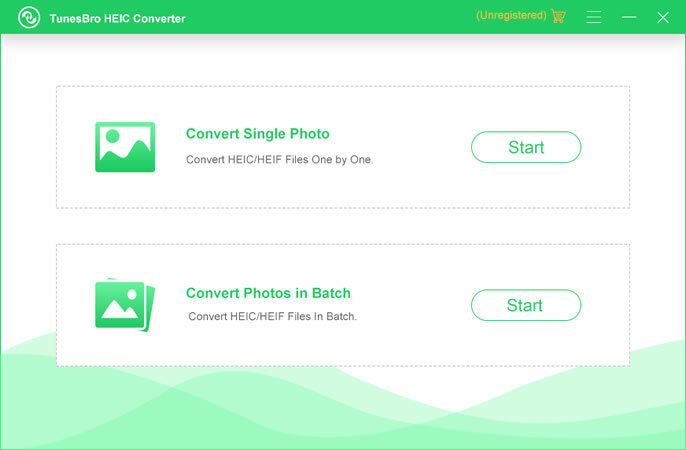 It offers two ways to convert your HEIC photos - Single and batch. Arrange the picture quality according to your desire and hit "Convert" to convert all the pictures from HEIC to JPG. 3Start to Convert HEIC Photos to JPG Format Now! 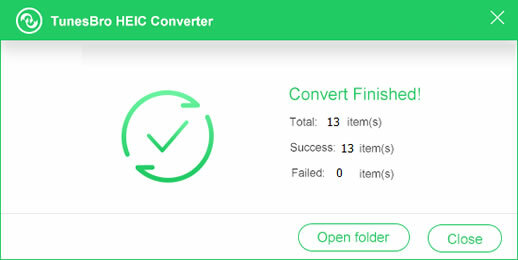 After you select the HECI photos you want to convert, click "Convert" button. After the conversion process is finished, click on "Open folder" to view the pictures or "OK" to dismiss the program. 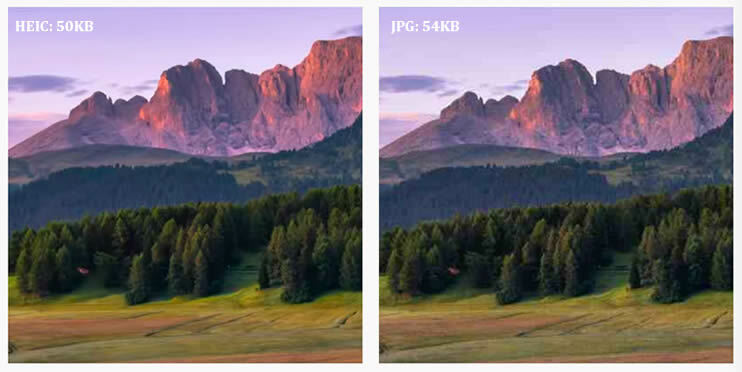 After you conversion, you can view the converted HEIC files on your computer and compare the two picture, it won't sacrifice the image quality. In this guide, we have shown how to convert HEIC pictures to JPG flawlessly in 3 steps. Remember, HEIC can be only readable on latest Apple devices with recent iOS update but if you want to view HEIC pictures on other devices like Android phones, Windows computers, Smart TVs, etc. then it is recommended to convert the images into the most popular format i.e. JPG with professional converter tool and take the full benefits of having the pleasure to view the pictures on your desirable devices. You will be surprised to hear that Dropbox is a cloud server then how can it convert HEIC to JPG? Well truth to be told, it is indeed a cloud server but it has some hidden features that you might not know and one of them is picture conversion. That's right, using a few tweaks, you can actually convert a HEIC to JPG via Dropbox. Step 1. Install Dropbox on your iPhone as well as computer. Step 2. From your iPhone, open Dropbox and upload all the pictures that you want to transfer to your PC. Step 3. Login to the same Dropbox account from your computer and download them to your PC. Step 4. All the images will be downloaded as JPG format and you can now view them on your Windows computer. An active Dropbox account is required. You can't change the photo quality for converted files.